Black box testing is a technique in which the software is tested without the knowledge of an application’s internal source code or design or algorithm details. Black box testing is the most widely used testing method. Testers interact with user’s interface and validate the software based on the requirement specifications. For instance, consider you have an “Age” text box in an application. Age is a number field and it should accept only positive numbers. Strings, special characters, and negative integers are not allowed. So, perform both positive & negative testing, and validate the software behavior. Testers need not worry about the code or its algorithm to test the software. White box testers write test cases to validate source code and identify missing conditions or incorrect logic. In this case, testers will have broader knowledge about the software both technically and programmatically. Grey box testing is a technique in which the software is tested with the limited knowledge of an application’s internal source code or design or algorithm or implementation details. 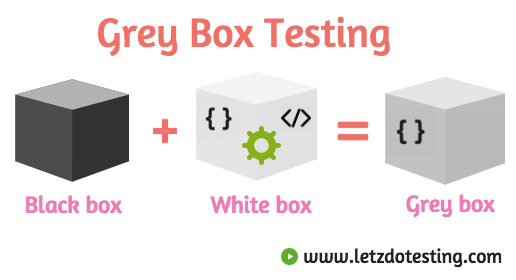 Grey box testing is the combination of black box and white box testing. Grey box testers have limited access to application’s source code. For instance, when a tester is assigned with a resolved/fixed bug, he could easily identify the regression tests that needs to done due to the bug fix made by the developer because of the partial knowledge about the internal structure of the code. Which software testing method you prefer? Here are some hand-picked articles that you should read next ? In my next post, will learn about Software testing levels. Previous Post How to use Filters in MantisBT? Thanks for breaking it down in such a simplified way. @Anwer, am glad you found it useful. Hi Shobika, your website is very good and the right one for beginners like me. Please so send me any good stuff or updates on Software testing to my email id srinivasadasu@gmail.com so that this email is registered with you.